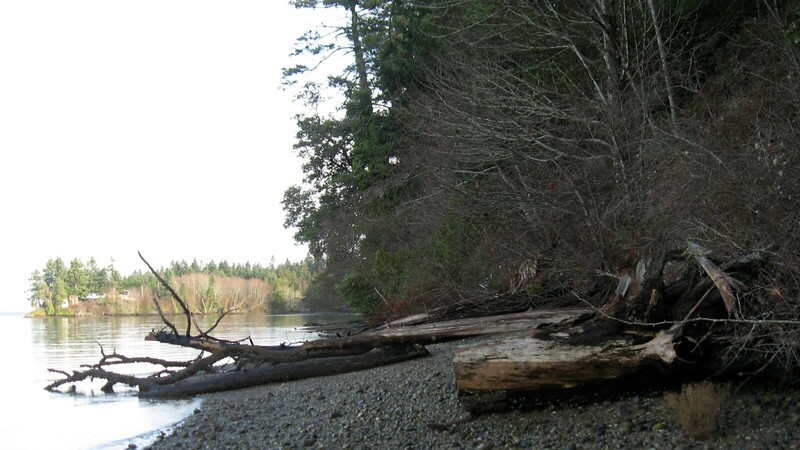 0.78 acres of shoreline habitat along eastern Henderson Inlet, northeast of Olympia in Thurston County. Donated by William Scheidt and Melody Mayer in 2004. This parcel has one of the few remaining undeveloped forested shorelines in the southern Puget Sound, boasting a plethora of native plants and an impressive lack of invasive species. With forested uplands as well as shoreline habitats, the Scheidt-Mayer Preserve is important for fish, shellfish, and wildlife, including oyster, clam, pigeon guillemot, hooded merganser, goldeneye, surf scoter, anadromous salmonids, deer, varied thrush, golden-crowned kinglet, red-breasted nuthatch, and other seasonal birds. The Scheidt-Mayer Shoreline Preserve is one of four properties protected by Capitol Land Trust along the eastern shoreline of Henderson Inlet. Henderson Inlet has been identified in numerous recovery and municipal plans for its important fish, shellfish and wildlife habitat, as well as for threats to sustaining its economic benefits. Protecting undeveloped, unarmoured shoreline is a key aspect to protecting Henderson Inlet. The Scheidt-Mayer Preserve is an undeveloped parcel containing pristine forested shoreline. This parcel is located in an area that is rapidly urbanizing (the Henderson Inlet watershed includes most of the Lacey Urban Growth Area and a smaller portion of the Olympia Urban Growth Area). The Land Trust has permanently protected miles of marine shoreline along the Inlet’s eastern shores. Like the Scheidt-Mayer parcel, each property contains undeveloped nearshore habitat critical for the long-term survival of endangered, threatened and sensitive species.